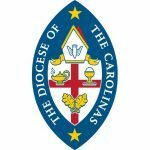 The Diocese of the Carolinas is a diocese within the Anglican Church in North America (ACNA) which unites some 112,000 Anglicans with over 1,000 congregations across the United States and Canada into a single Church. The Most Rev. Dr. Foley Beach is the Archbishop of the Church. 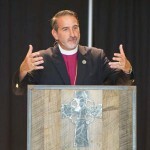 The Anglican Church in North America was initiated at the request of the Global Anglican Future Conference (GAFCon) in June 2008 and formally recognized by the GAFCon Primates – leaders of Anglican Churches representing 70 percent of the active Anglicans globally – on April 16, 2009 after a thorough examination of the Anglican Church’s leadership, organizational structure, proposed constitution and proposed canons. To learn more about the Anglican Church in North America and what it means to be an Anglican Christian, download our brochure by clicking here. Members of the Anglican Church in North America are in the mainstream, both globally and historically, of Christianity – the biblically-faithful way of following Jesus and being part of the “One Holy Catholic and Apostolic Church”. As Anglicans, this orthodoxy is defined by and centered on our church’s classic formularies – the Book of Common Prayer, including the Ordinal, and the Thirty-nine Articles – which all point back to the authority of the Holy Bible and articulate foundational principles of the Anglican tradition throughout the world. We wholeheartedly embrace the Jerusalem Declaration, the founding declaration of the global Fellowship of Confessing Anglicans, and the Theological Statement of the Common Cause Partnership – the precursor to the Anglican Church in North America. We receive the Thirty-Nine Articles of Religion of 1562, taken in their literal and grammatical sense, as expressing the Anglican response to certain doctrinal issues controverted at that time, and as expressing the fundamental principles of authentic Anglican belief.